Unlike traditional outbound lead generation strategies, with an inbound marketing strategy, new customers find YOU, not the other way around. An inbound marketing strategy can help companies increase brand awareness, save money and generate more B2B leads. Don't know what inbound marketing is? Check out this article on how to implement the inbound marketing process to learn more about it. So, let’s take a look at how all of this works with a simple question. It all comes down to content -- and lots of it. With inbound marketing, the idea is to put customers first by providing information that is truly valuable to them. Developing and publishing relevant content allows companies to look beyond their own products and services to focus on the topics related to their market that customers truly care about. This can include everything from simple tips and how-tos to industry commentary and answers to frequently asked questions. The goal is that when people search for information around these areas online, they find you and your business. Because the internet AND Google have changed things. “Google now processes over 40,000 search queries every second on average (visualize them here), which translates to over 3.5 billion searches per day and 1.2 trillion searches per year worldwide.” (Source: Internet Live Stats)..........AND you can bet that some of those searches are relevant to your products and services. So, how does this help you generate better leads? Here are a few things to keep in mind when it comes to drawing the connection between inbound marketing and B2B lead generation. Trust- This is often overlooked, but it's arguably the most important benefit of inbound marketing for B2B companies. People and businesses tend to spend more money with the brands they trust. By providing a steady stream of valuable, quality content, your company will become that trusted source of information for customers and prospects. As a known thought leader and influential voice in your field, businesses will be more likely to reach out to you when it's time to buy. Search- As discussed above, you can't talk about inbound marketing without mentioning search engine optimization (SEO). Search engines like Google crave lots of quality content, and it's your job as a business to provide it. Using a combination of keyword and market research, you'll be able to generate a host of quality content items for search engines to index. This will help raise your profile and make your company more visible in Google, increasing the likelihood that some of those 1.2 trillion Google searches AND new potential customers find you online. Sharing- People don't just engage with quality content, they also share it with their friends and colleagues. If your company is providing truly valuable information, word will spread. As a result, people will be more likely to share your great content with friends and colleagues via email or social media -- turning these outlets into yet another free source of B2B lead generation. Our friends over at Fit Small Business also have an article on The Top 33 tips from the pros on inbound marketing startegy. 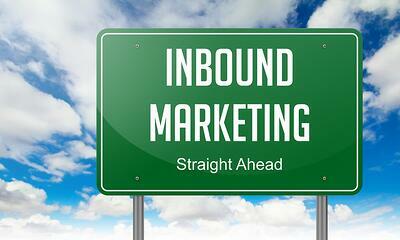 Is inbound marketing right for my business? Check out what an inbound marketing agency can do for your company and the services they provide. Check out an article we wrote on Why Should I Hire A Marketing Agency For My Small Business to show the need for outside help when you can't do it on your own. 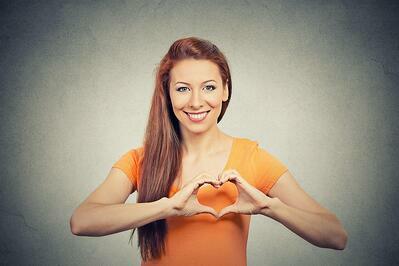 The content you create for inbound marketing can (and should) come in a variety of formats. Most importantly, it should be relevant to your buyer personas (ideal customers). Blog posts and articles can be great for driving more inbound traffic through search, while multimedia content can extend your messages to wider audiences. Exclusive eBooks and case studies can be hidden behind a registration wall, requiring visitors to share their contact information to access the content. Videos can be posted to YouTube with calls to action that encourage viewers to visit your site to learn more. There's also podcasts, live webinars, customer testimonials -- the possibilities are practically endless. In the end, a strong content strategy is the key to successful B2B lead generation with inbound marketing. And since the content machine is being managed by you or by an inbound marketing agency, you can ensure the leads you generate are of the highest quality. After all, no one knows your market and the needs of your customers better than you!